The FX exodus from London by large banks has continued, with Nomura terminating the contracts of four FX employees, Darren Dempsey, Max Popov, Antoine Berger and John Erratt, effective immediately. This is the third instance of a departure and closure of FX desks from London in the past few months as several banks are restructuring their FX business. 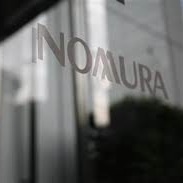 Nomura recently hired a new FX head for its Latin American markets, a popular destination for business over the past year. In its most recent moves, Nomura has lost personnel in its emerging markets spot trading, G-10 markets and FX sales. It is unknown where any of the aforementioned individuals are headed, only that their contracts in the London office were terminated.